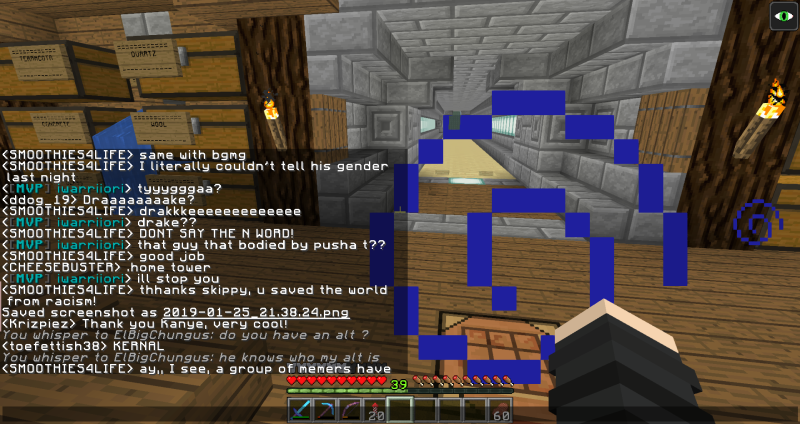 Why should you be unbanned: I've been awfully rude, and I took the chat violations as a joke. I didn't know how serious in trouble I was going to be in. I've been awfully disrespectful and I wasn't even realizing what I was doing until I got banned, and that's when it struck me of how much of an idiot I've been. I promise to follow the rules, and I promise to not make any jokes that may offend someone! I do very much enjoy the fact that you are sorry and honest about what you did, however, I'm quite disappointed with your behavior as of tonight. The past few days you have received numerous verbal warnings and kicks from the game. When the player report came in I was not very happy to see that you were not only breaking the chat rules you've had problems with the past few days but also the fact your messages were quite disgusting in nature both in that they were either sexual or offensive. 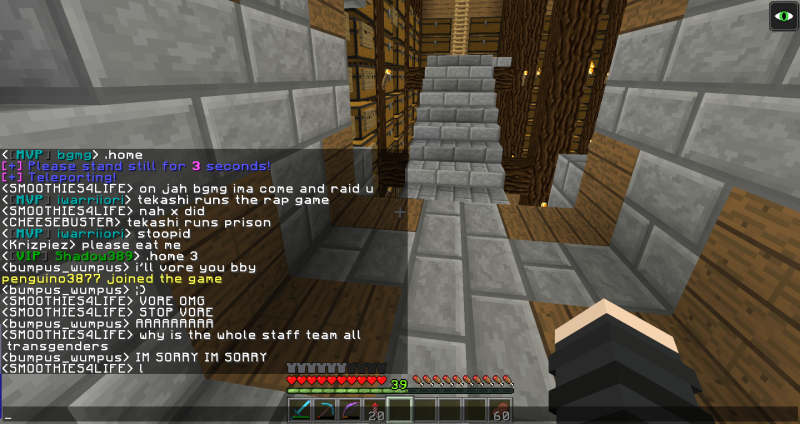 The past couple of days you have also harassed bgmg and that is not tolerated on this server. We try to create a positive and welcoming environment for everyone, and we expect this of EVERYONE.